MyDramaList Best of Japan 2016 Winners! Ryosei Ryo and sakurada dori are part of the cast, I found that cute because they both were acting in the movie orange too. 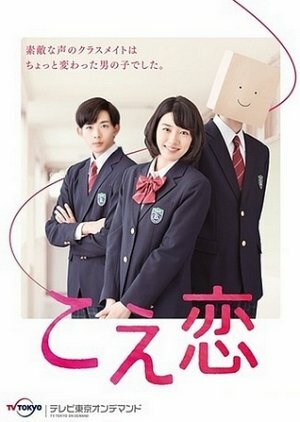 The drama is a typical shojo adaptation but this one was so heartlifting and pure that I had to give it a good rating, the acting was good and emotions were clearly presented by the cast, even the paper bag senpai, while the good thing about the drama is that it will engage you in the story and you'll want to know the reasons behind why we can't see his face , so you'll watch it till the end. The ending was sweet and satisfying even though I feel like a huge idiot but I liked the overall feeling. This drama is the best j-drama I've ever seen. 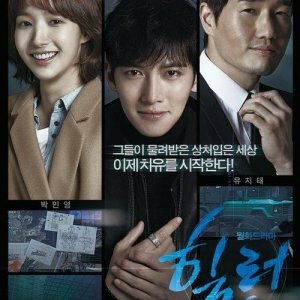 I love how unique (in a good way) this drama is. It's such an adorable, innocent, fluffy, beautiful and intriguing watch that holds your anticipation from start to finish. It had me grinning away to myself, and then I'm welling up the next minute. Don't let those fuwa-fuwa adjectives fool you though, there's also an underlying psychological theme and moments of intense emotions. The acting - from the main roles to the sub roles - is perfect. I loved the side characters and their stories as much as I did the main characters. The characters are so well-developed. The music fits with each mood. For me, one of the highlights was just the production and camera work. There wasn't a single rushed or shaky scene, and the lighting added to the overall aesthetic. There isn't a single thing I didn't like. I'm not exaggerating. It has skyrocketed to the top of my favorites list. 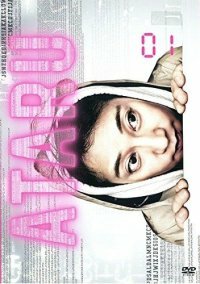 I made my very manly male otaku friend who has never watched a drama in his life watch this, and he was hooked from scene one. If you're debating about watching it, you should probably just stop what you're doing and watch it right now. 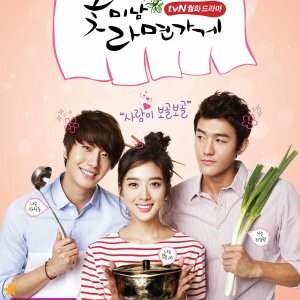 This drama has just taken my heart and I'm sure I'll be watching it again very soon. I'm still reeling from all the happy feels it has just delivered. My poor kokoro.